This was a twist on a Sophie Grigson recipe from her book ‘Vegetables’ – orange zest adds a bit of magic. They loved it. Fry finely sliced onions until soft. Add garlic, red chilli and a sprig of rosemary. Stir around for a minute. Chuck in the chopped cavolo nero (washed but not dried) and salt. Cook on low heat for about fifteen minutes, checking every now and then to make sure it’s not sticking. Grate in orange zest about a minute before serving. Served it up on sourdough toast, rubbed with half a garlic clove, drizzled with olive oil and spread with goats’ cheese. If you can’t be bothered with this faff, a simpler recipe is to chop, steam (keep crunchy), toss with olive oil, a touch of salt and a squeeze of lemon. Check this out for good fortune. 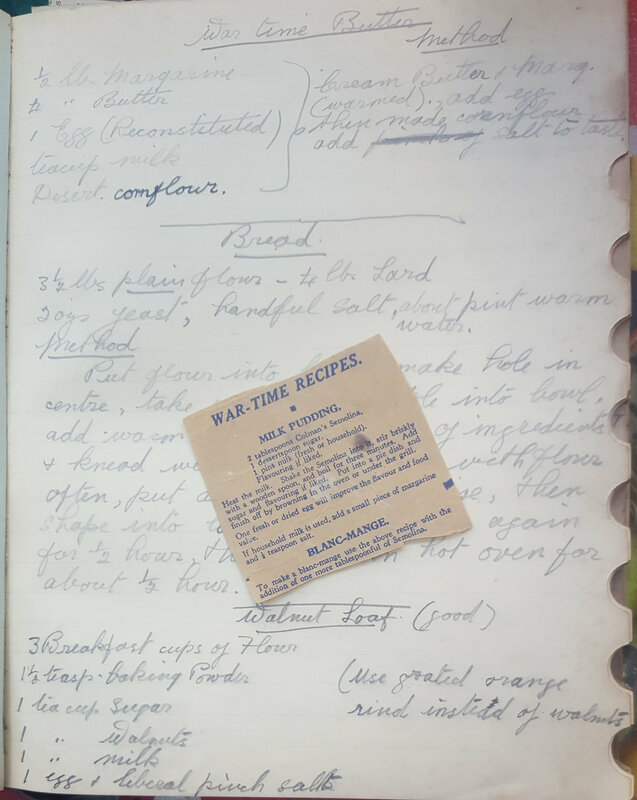 One of our parents, who we shall call F, has brought in her mother and grandmothers' recipe collection - we will select one for the cookbook we are compiling. Many are from wartime and the age of rationing. Her mother, she says, used to salivate over the images of food in cookbooks as she had scant supplies. F was cooking full meals from the age of 9. Her mother, she says, struggled with that task, although one of her signature dishes was her Red Soup, made with lamb and beef, which would sit unrefrigerated on the hob all week.